Ottoman Turks inherited the design and the craftsman ship of Seljuk’s Ceramic arts and developed the techniques of ceramic making. 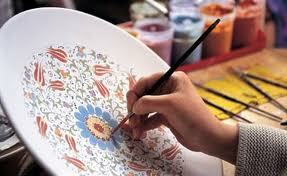 The late 15th and early 16th century marks the beginning of a new period in Ottoman tile and ceramic-making. The most important center active at this time was Iznik. 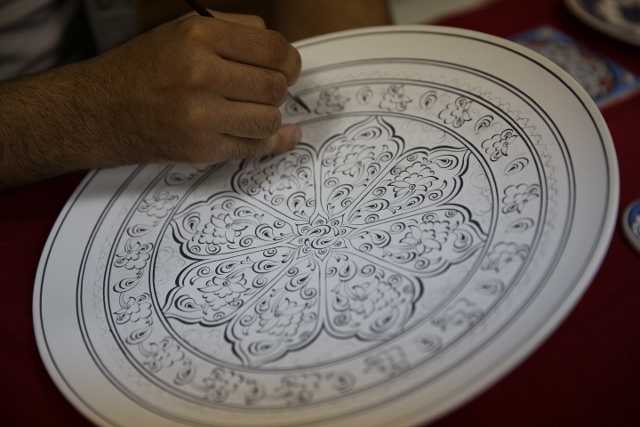 Designs prepared by artists who were employed in the studios of the Ottoman court were sent to Iznik to be executed in wares ordered for use at the palace. Although the traditional designs of stylized prior to 17th century are plant motifs, arabesques, and Chinese clouds appear in the compositions, there is a shift towards a more naturalistic style in which tulips, carnations, hyacinths, roses, spring blossoms, lilies, cypress trees, and clusters of grapes and vine leaves appear. Compositions are relaxed and free, offering greater scope for experimentation with new and richer arrangements. ). Different styles of calligraphy adorn the tile friezes on monuments; on utensils we find images of ships, ‘rock-and-wave’ motifs, triple-spots, animal figures, and fish-scale patterns. There is also a proliferation in vessel forms of which deep and footed bowls, vases, ewers, dishes, lamps, candle-holders, and mugs are but a few. 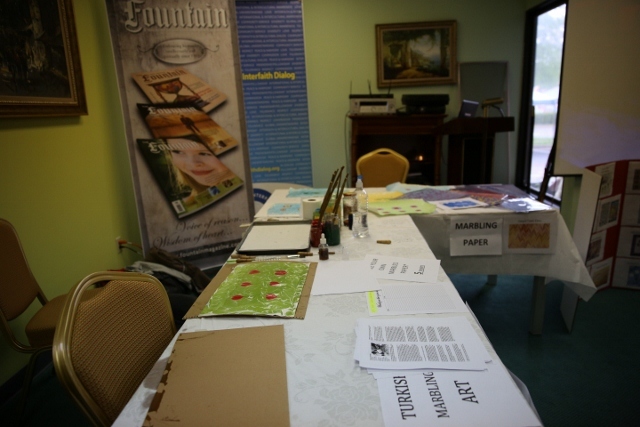 Marbling is the art of creating colorful patterns by sprinkling and brushing color pigments on a pan of oily water and then transforming this pattern to paper. The special tools of the trade are brushes of horsehair bound to straight rose twigs, a deep tray made of unknotted pinewood, natural earth pigments, cattle gall and tragacanth. It is believed to be invented in the thirteenth century Turkistan. This decorative art then spread to China, India and Persia and Anatolia. Seljuk and Ottoman calligraphers and artists used marbling to decorate books, imperial decrees, official correspondence and documents. 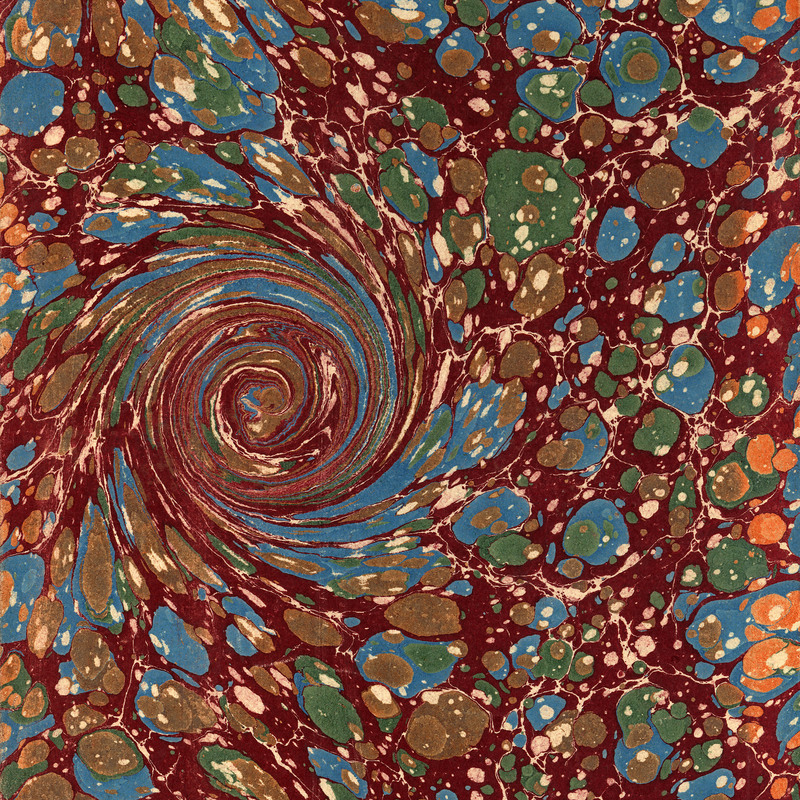 New forms and techniques were perfected in the process and Turkey remained the center of marbling for many centuries. Up until the 1920’s, marblers had workshops in the Beyazit district of Istanbul, creating for both the local and European market, where it is known as Turkish marble paper. 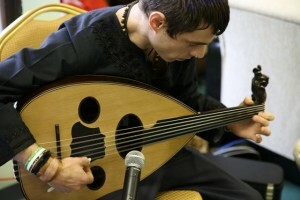 Becoming on the one hand the Sword of Islam and conquering countries in God’s name, at the same time, it dedicated nearly all its art to the most beautiful expression of the pine; for the most part in its music, in its architecture, in its calligraphy, and in its decorative arts, the Turkish nation dealt with that which was mystical. Indeed, quite a few branches of the arts were developed in religious lodges, yet out of the humbleness afforded by dervish training no signatures are to be seen below them. 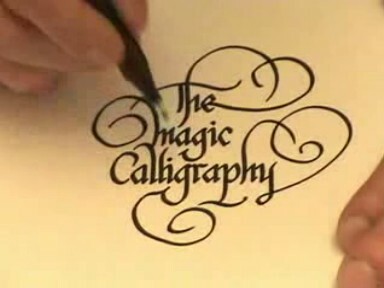 Of the Ottoman arts, Calligraphy was the most important. Such mundane items as tax reports, property deeds and imperial edicts became exquisite works of art. This aptly reflects the bureaucratic nature of the empire, with its stress on writing and registering. Turkish calligraphers contributed to the development of new and more ornate styles of calligraphy. Each of the sultans had their own monogram in stylized script, called a Tugra. Sultan Ahmet III and Sultan Bayezit II were skilled calligraphers. Many of the greatest works were preserved in the extensive Ottoman archives and can be seen at Topkapi Palace and Ibrahim Pasha Museum. A henna tattoo is a design that is painted onto the surface of the skin with plant dye. It dyes the top few layers of your skin, so the design is still there even after the paint is gone! It typically lasts 1-3 weeks, with an average of about 10 days. The person answering this question before me is mistaken, however, when they say that henna is available in different colors. The henna plant has only one dye molecule, the lawsone molecule, and the color that it dyes is somewhere in the orange-red-brown family. Most often, on most parts of the body, a good fresh henna dye will leave a brown stain. Stale henna tends to leave an orange stain. On the palms of the hands and soles of the feet, red is most likely. But it is always the same plant molecule doing the dying – your only control over the color is the quality of the dye and where on the body it is being placed. 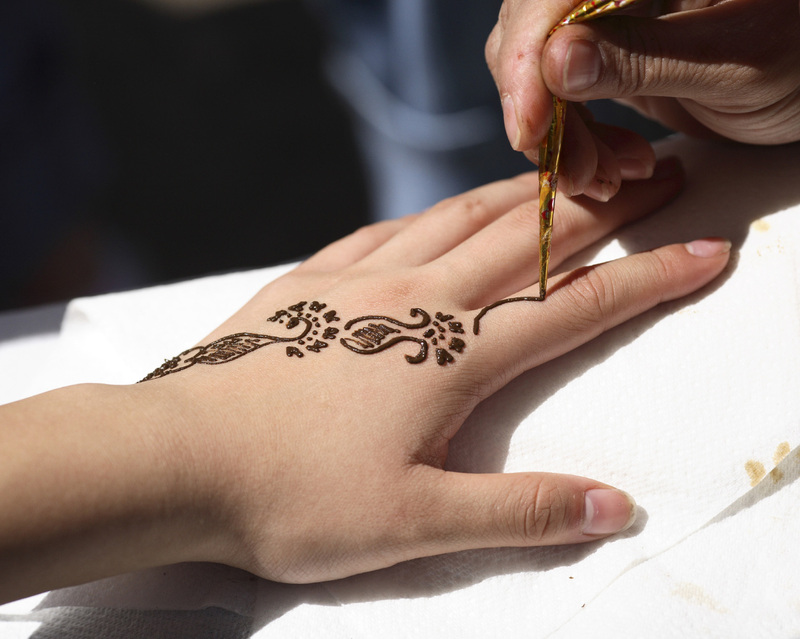 Some people add other dyes, often artificial and/or hazardous chemicals, to otherwise natural henna paste. However, these dyes usually do not dye the skin for as long as the henna’s lawsone molecule does (at best), and can even yield chemical burns (at worst). The henna plant itself grows in India, the Middle East, and North Africa. All of these regions have culturally specific traditional henna design, and most have a tradition of using henna for brides 1-2 nights before her wedding.